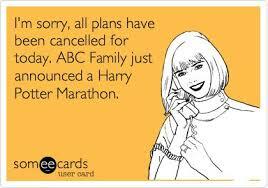 This past weekend was one of my favorites, a Harry Potter takeover on ABC Family. I happened upon it Saturday afternoon and proceeded to cancel all other plans. If you haven’t guessed I am quite a huge fan of Harry Potter (if you need further evidence check out episode 13 of the podcast). So much so, my first tattoo was Harry Potter themed. I made the lifelong commitment to get the tattoo this year, which is what I wanted to talk about in this blog. For me, a tattoo is an expression of self; it represents who you are and how the world sees you. So naturally I got something full of symbolism and nerdiness. Thanks to a website called Ugliest Tattoos, most of my life I’ve been aware of how awful and stupid people’s tattoos can be. A tattoo should be as unique as you, not a dumb anchor that refuses to do its job and sink, or a bleeding heart that says mom. I’m not saying these aren’t meaningful to some, what I am saying is that if you are going to permanently mark your body with an image, you should really know why you’re getting it and invest time in finding a proper artist and getting it done professionally. Tattoos tell a story; great tattoos make me want to ask more about a person’s life journey, while shoddy, cliché tattoos tell me all I need to know. In summation, explore yourself and get a tattoo that has meaning to you. I struggled with my first tattoo for years; I wasn’t sure exactly what I wanted. My first idea was a Celtic cross on my back, cliché I know, but I wanted it to honor my late Nana and my heritage, both Irish as hell. I may revisit that in the future but I went a different way for my first tattoo. As a creator, I wanted something never done before. So for my first tattoo I chose to combine two of my great passions, soccer culture and nerd culture. I told my friend Ben, a graphic designer, about the concept and he drew it up for me. My friend’s girlfriend is a great tattoo artist and agreed to do it for me. I was a little nervous about her tattooing a nerdy design, but then she showed me the Deathly Hallows mark she tattooed herself on her own hand and I knew, like Allstate, I was in good hands. The tattoo is a combination of the dark mark from Harry Potter and the Sons of Ben Logo. The Sons of Ben is a supporter group of the Philadelphia Union, an MLS professional soccer team. I joined the Sons of Ben in 2010 just before the Philadelphia Union began their inaugural season in the MLS. I’ve never felt more at home cheering on the Union with the other S.O.B.’s in PPL Park. The SOB Logo is full of Philadelphia history, including Benjamin Franklin’s skull, the liberty bell, and the oar and the scythe that represents the city’s nautical and agricultural roots. 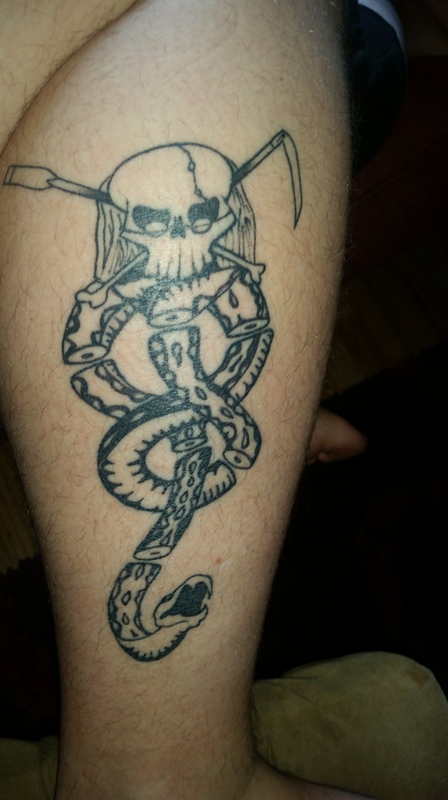 The Dark Mark is the image of a skull resting upon a twirling snake, which is given to the worthy followers of Voldemort by the Dark Lord himself. The skull I used in the design would be the Sons of Ben logo, and the snake was cut like Benjamin Franklin’s revolutionary symbol of “Join or Die”. As long as I could remember, I have been fascinated by symbology and cryptology. My tattoo reflects my affection for soccer, Harry Potter, symbolism, my city, and being a nerd. I display them proudly on my calf and will happily tell you the story of my tattoo, if ever asked. 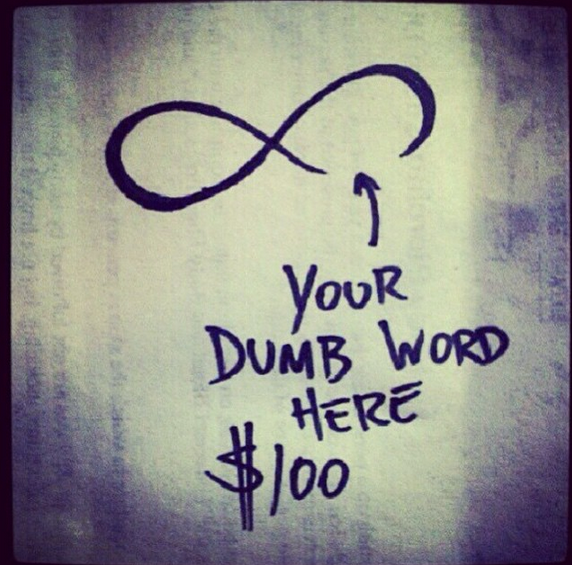 Do you have an awesome or awful tattoo? Please let us know your story in the comments.